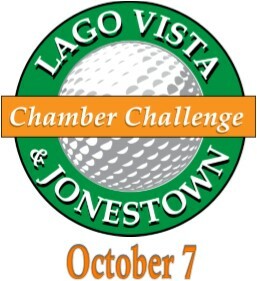 The 14th Annual Lago Vista and Jonestown Chamber Challenge is happening this weekend! There are some great prizes at the 19th Hole Celebration. Your entry fees include a light breakfast and a delicious Hamburger! Back by popular demand, there will be a helicopter ball after the 19th hole celebration. If your ball lands closest to the flag, you will win a cash prize - 1st, 2nd and 3rd place. Many sponsorship opportunities available to fit your need and budget. Get your team together now. Four hole in one prizes...including $10,000 cash!